This Vaptio P-I Kit comes with a top filling tank and a 2100mAh MOD battery. 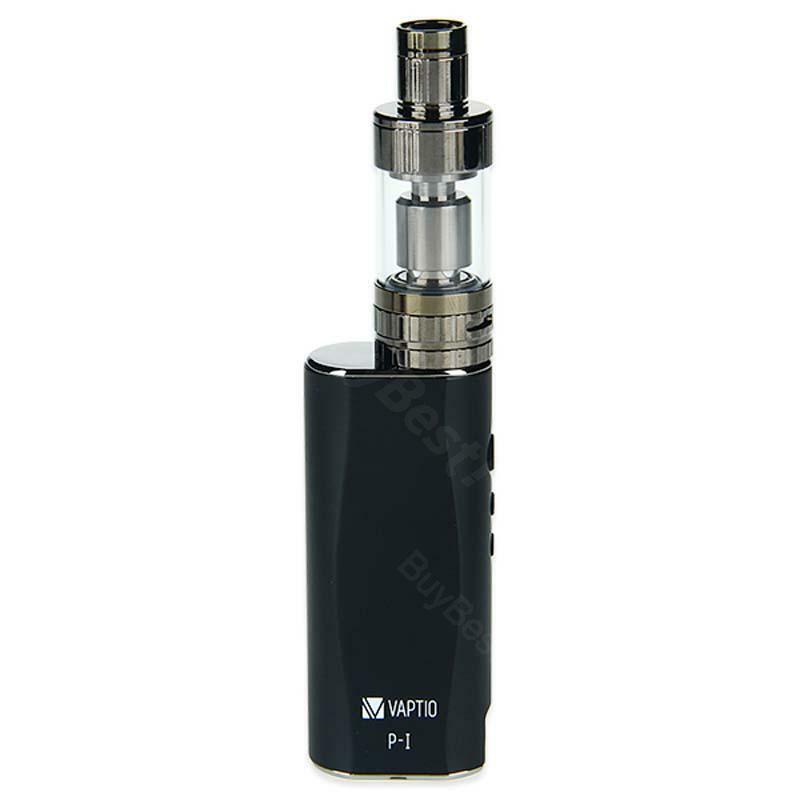 With max power 50W, it brings comfortable vaping experience. Press the fire button 5 times within 2s to turn on/off the device. Press adjustment buttons together for 2s to lock/unlock these buttons. Red indicator light will flash twice. When short circuit occurs (resistance is lower than 0.1ohm), the red indicator light will flash 3 times, then show the less power of battery. When the battery voltage is below 3.0V, the red indicator light will flash twice. The battery will stop output. Please recharge the battery to reactivate. When the fire button is pressed over 10s, the red indicator will flash 5 times and the battery will stop output automatically. • There are CE and FC mark on bottom of the MOD. • Comes without e-juice. You shall purchase it separately. I love this item. It's the best one I have used and the price is extremely fair. Ship was super fast also.